"Whether you're in love with the simple and sleek design of a modern master bathroom or the relaxing and inviting space of a farmhouse kitchen, elevate your home with custom finishes from the experts atBroadway Kitchens Baths in New York City. BKB offers a wide selection of impeccable cabinetry, stunning countertops, and breathtaking plumbing fixtures that are hand-picked for your humble abode. This trusted and industry-leading kitchen and bathroom remodeling company is dedicated to servicing residential and commercial clients across Manhattan and Englewood, NJ. 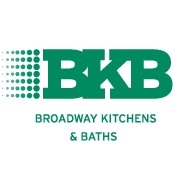 For more than 20 years, clients have continued to put their faith in BKB's skilled designers. These talented specialists will work with you and your family to create a dream kitchen and bathroom that matches your personal style and taste. From custom cabinets and durable stoneor granite countertops to beautiful backsplashes and exquisite hardware, your options are truly endless.